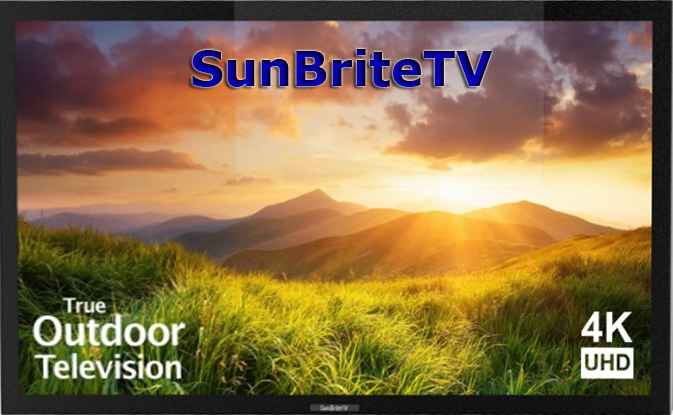 TVs SunBriteTV are positioned as devices designed for outdoor use. Designed for operation at low temperatures from -24 ° F (-31 ° C) and high temperatures to 122 ° F (+ 50 ° C). Since initially it is planned to use TVs on the street, the TV sets have a brightness of the image, remote control is waterproof. The manufacturer chose a niche of sales for TVs SunBriteTV, TVs for verandas, courtyards. Basically TVs are on sale in the American continent. have an inflated price because of the need to protect them from moisture and exposure to low and high temperatures. The TVs have screens with increased brightness manufactured using VA or IPS technology (the manufacturer does not specify which screens in the TVs). But if you look at the viewing angles of 178 to 178 degrees, then this screens is IPS or VA. Pro Series is released in 2015 in this series of TVs with a Full HD screen resolution. The Signature and Veranda TV series are newer with UHD resolution screens. Another feature of TVs SunBriteTV, on TVs built-in HDBaseT receiver, it allows you to connect various devices to the TV using an ordinary twisted pair. Signature Series TVs do not have speakers for them to buy a soundbar, the cost of a standard $ 175, a premium of $ 999.